It states in the introduction to our Northwest Yearly Meeting’s Faith & Practice, “Friends hold that an authentic Christian belief includes both an inward and an outward expression of that belief.” For the past four years, I have dedicated myself to seeking the heart of our meeting and how we inwardly and outwardly live out our faith in the town of Silverton and its surrounding communities. Many people have asked me for my vision for SFC. When asked, I am quick to explain that as a Quaker minister, I work together with the people of our meeting in finding how best to express our Yearly Meeting’s vision and mission in our unique locale (to read our NWYM’s vision and mission go to nwfriends.org and click the tab, Faith & Practice). Unique and local vision statements are almost never easy to create or express. Recently the elders and I explored a new way to articulate what we see as the key commitments at SFC. We believe them to be both helpful while simple in nature. 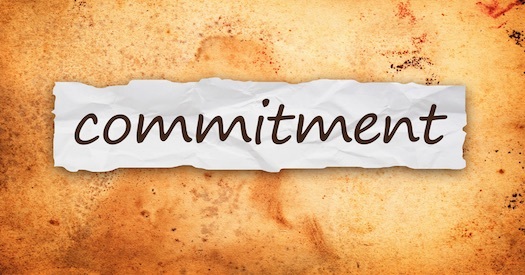 Obviously, the following “Vision Commitments” are not all encompassing or narrow in focus. Instead they give us basic categories and broad actions to begin developing in the lives and ministries of SFC. • declaring the Gospel through our words and actions. • becoming a faithful presence in our neighborhoods. • incarnating the attributes and resurrected life of Christ. • discovering, developing, and utilizing our assets. • embodying a non-violent, reconciling and supportive way of life together. • embracing our Quaker (Friends) identity as a unique expression of the Christian faith. Our hope is that over the next several weeks and months, we will have a chance to explore, define, and develop these commitments through sermons, conversations, gatherings, and in simply living them out in our daily lives. Now when people ask me, “What is SFC’s vision?” I have something to share and begin that deeper conversation. I pray you will take some time in the coming weeks and months to explore these vision commitments and find how your commitment to SFC is inwardly and outwardly an expression of your faith in Christ!